With bamboo handles, 100% animal-free, antibacterial taklon bristles and priced at only £5.50 each… the new E.L.F range of mineral brushes are sure to be an interesting addition to the brand’s budget line-up in the UK. 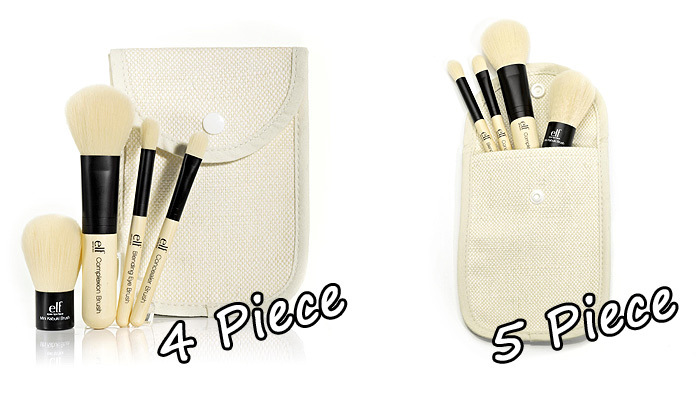 From Left to Right: Powder Brush, Complexion Brush, Foundation Brush, Angled Blush Brush, Concealer Brush & Lip Brush. From Left to Right: Liner and Brow Comb, Flat Eyeliner Brush, Smudge Brush, Contour Brush, All-over Eyeshadow Brush and Blending Eye Brush. It seems strange to me that they’ve doubled up the complexion and concealer brushes in both sets… it makes it far less appealing to purchase both sets. Infact, you just wouldn’t would you? I’ll be receiving a few samples from the new range shortly and will be keen to discover if these brushes are worth a punt. I’ve learnt since first falling in love with makeup, that the one thing often worth spending a bit more on to get great quality… are brushes. Will the new E.L.F bamboo range hold their own in terms of quality and usability? Have you tried the new range yet? I really am looking forward to try out this new range. 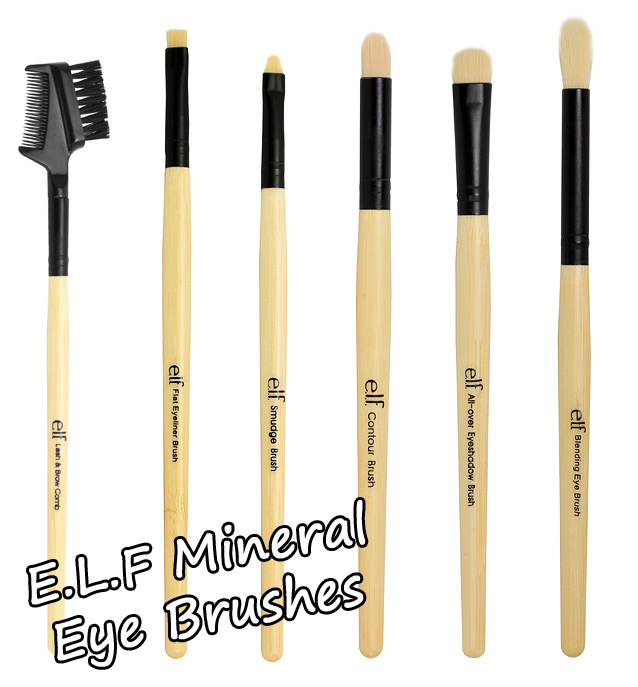 I love all the studio brushes from ELF that I own, so I think this range will be really good too. Oh, this makes me a very happy lady indeed! I look forward to your review! I love my Eco Tools brushes, I want to see how these compare! 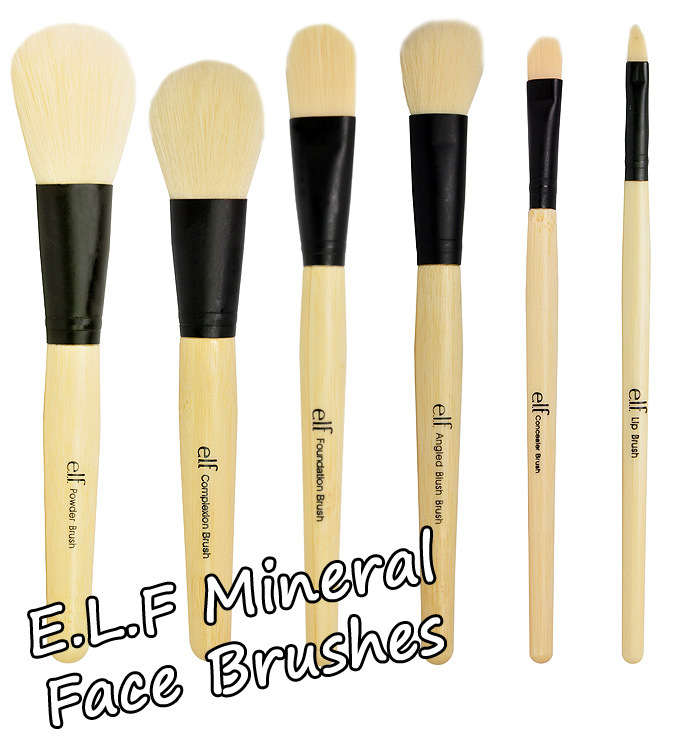 Could be worth noting: If ELF get 106000 likes on facebook they’re going to give a 20% off code for the mineral line. I assume that will include the brushes too! I bought the angled blush brush last week and it has yet to arrive. I can’t wait to try it. I just hope it isn’t rubbish but my other elf brushes are brilliant so I’m hopeful. Looks like they’ll be competing directly with EcoTools. I wish companies would make customizable sets instead of guessing what people want! I have to applaud ELF for making mineral products and not ripping their customers off simply because they’re “better for the environment”. Obviously these are a bit more costly than their usual brushes but they have their pricing spot on, they won’t break the bank so it doesn’t really matter if they’re nto the best you’ve ever used. They could have easily brought these out and really hyped up the price (as they could have done with their studio range) but they haven’t so fair play to them. gosh ELF sure has changed since i’ve last shopped on the site. i think i’ll wait for reviews to come out before i decided to purchase these. I think i’m liking the eye brushes, not so much the face ones. This is very exciting! I love the ELF Studio brushes I have and can’t wait to try these now! Uhh these look interesting! I will need to order some! I purchased the mineral powder brush a little while ago and I was plesantly surprised. It’s really soft with no fall out (yet) and the handle feels very sturdy, wouldn’t mind if the bristles were a bit denser though! Still its a 100% times better than there normal brush range! I have the 5 piece set of these that i won!!! They are amazing i couldnt recommend them more! !